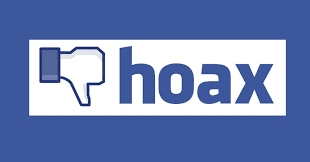 There's a new hoax on Facebook that is scaring users into believing that they are being stalked from unknown persons. Some of the users of the social media platform are spreading the myth that a hidden list could expose your unknown "followers". These followers could effectively be secretly stalking you, all your statuses and updates. According to the rumor currently making rounds on the social media platform, Facebook would show you a list of people if you go to the block section of settings and type in “following me”. Unfortunately, this idea is nothing but a gimmick - and an old one at that! Despite the fact that it is a ruse, a message is spreading across the Mark Zuckerberg-owned website - and people are getting scared. Experts have debunked the whole thing as nothing but a ruse to scare people, though. The hoax has done the rounds previously, but is seemingly picking up serious popularity this week. When you type something (a word) into the "search bar" on Facebook, it is going to find ANY and ALL pages, people, and/or posts with those words in them. What you're probably seeing is a list of people with names that include letters from the words "following" and "me." According to Facebook’s Help Center, you go to the right corner and select settings, then click public posts, then select friends or public next to who can follow me to see your genuine followers so there is no reason why Facebook would implement a feature that would allow users to see their paid stalkers or “covert followers”, it would seem oddly counter-productive. Regardless, this sensible flaw hasn’t seemed to stop these rumors from going viral, regularly.